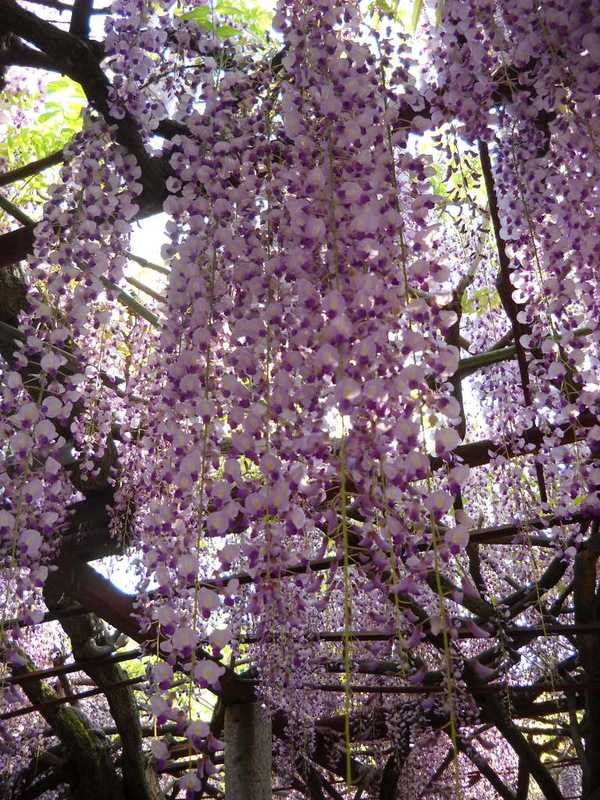 In Shiso City, Hyogo Prefecture, there is Sennen Fuji – 1000 year-old wisteria flowers. 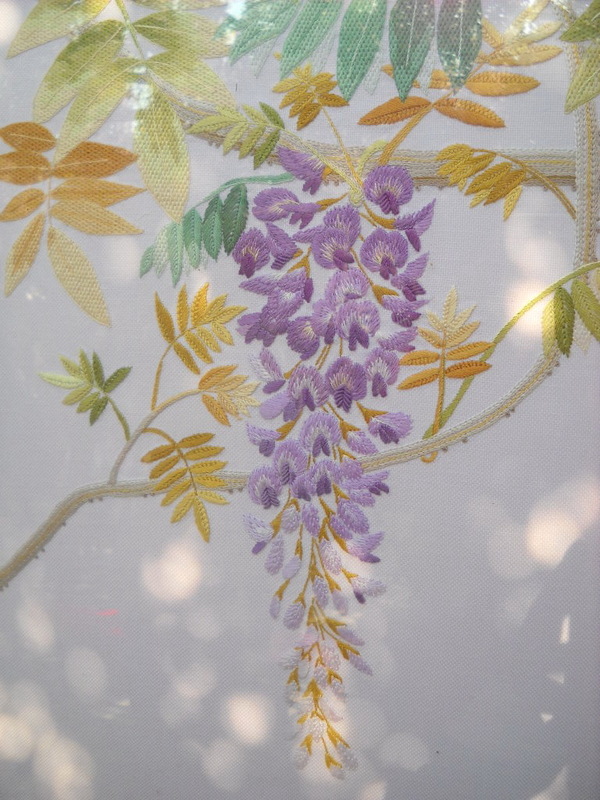 Wisteria is called Fuji no hana. The kanji 藤 is different from Mount Fuji, of course. The flowers grow even more than 1m long, and the smell is superb. It became my favourite flower. 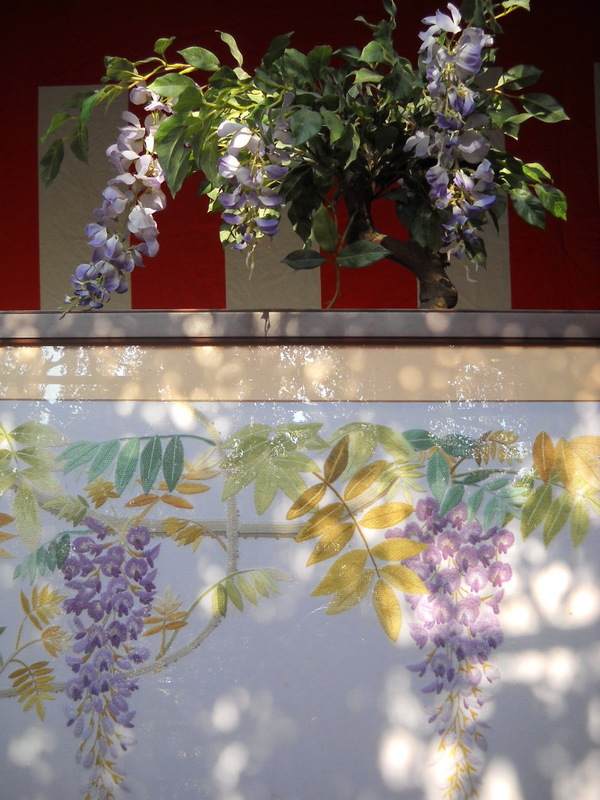 Wisteria can be white as well. I have heard of yellow flowers, too. 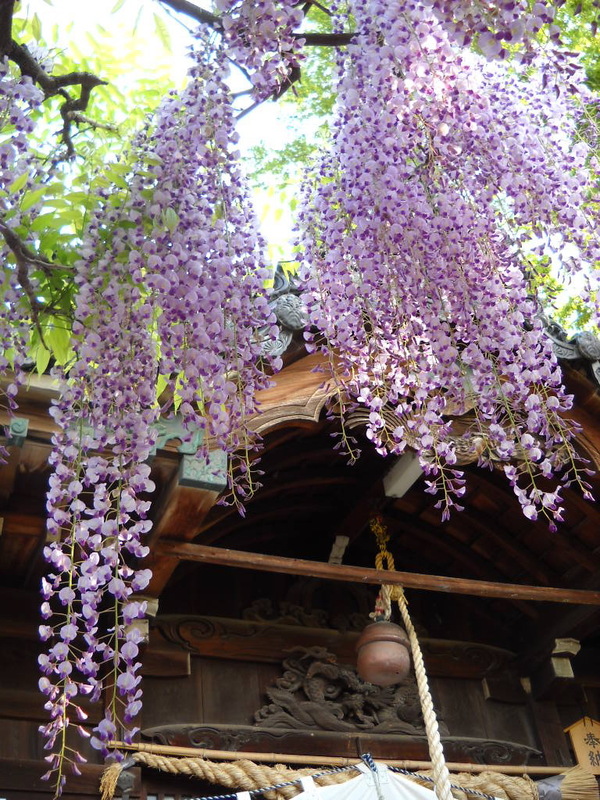 Sennen Fuji is located at Dazai Jinja Shrine in Shiso City. It is said that the wisteria was planted in 960. I was ravished by its splendour. How beautiful!It seems to be pink rain. Yes, like a purple waterfall.